Pet owners are finding it harder and harder to maintain their yards; let alone, create this luscious natural lawn without urine burn spots and holes that pets can create. 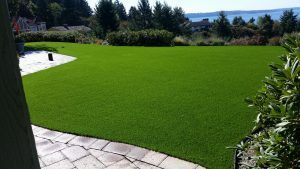 Now, compound all of those miscellaneous challenges with seasonal weather, it seems that choosing to replace your natural lawn to synthetic turf is the answer to all your lawn problems. Since fake, artificial or synthetic grass is a mixture of plastic and comes in a variety of heights, textures and styles, it gives off the look of a natural lawn and provides additional benefits as well. Saves Water – Reduces unnecessary watering of your lawn and lowers your utility bill. Easy Maintenance – Because of antimicrobial infill products available with our turf, it allows liquid to drain quickly which reduces/eliminates breeding ground for bacteria and odors. Simply hose off with water to clean stains and any messes. 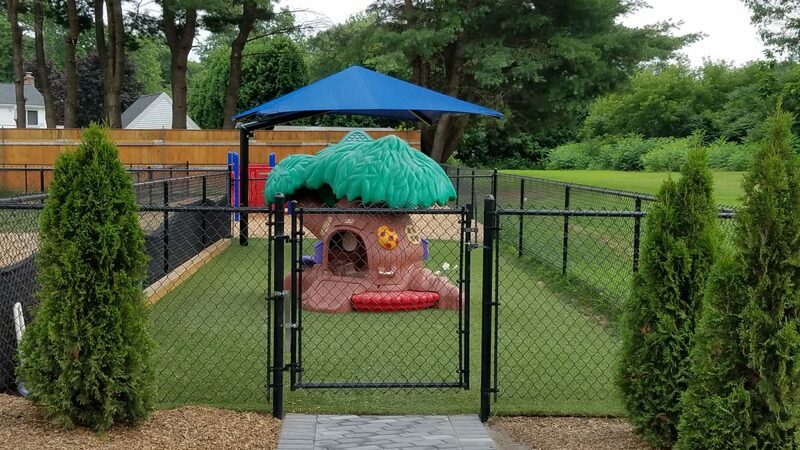 No Holes, Bald Spots and Mud – Synthetic grass has the look and feel of real grass but deters dogs and other animals from digging and creating those mud holes in your yard. Reduces Pollen and Allergens – Pets are having more and more environmental symptoms during those seasonal changes. Synthetic grass reduces allergies and symptoms for pets and their humans. Bugs – Synthetic grass or turf is not attractive to bugs, fleas, ticks, ants or reptiles. In addition, you won’t have to spend money on pesticide applications and worry about the impact on the environment. Heat Blocking – Synthetic grass provides a heat blocking and heat diffusing technology by reflecting the sun and reducing heat build-up and emissivity. Have You Considered Installing Synthetic Grass? If you are interested in speaking with us about artificial grass or other lawn services, we have the experience and expertise to provide individualize solutions for your home and family. Contact Mark’s Landscape at (978) 897-6026 for a free consultation today.